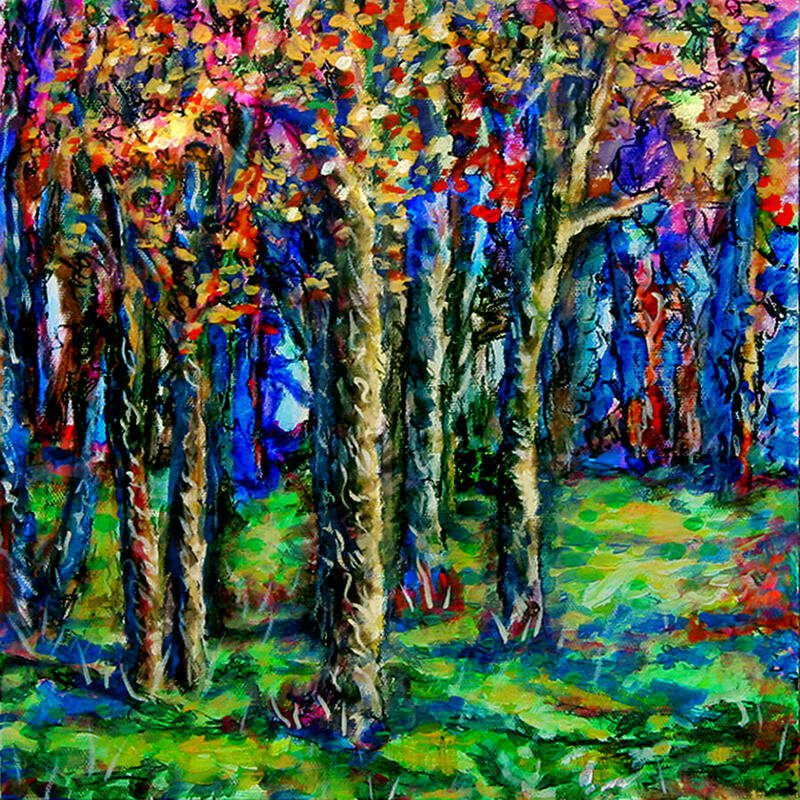 Magical Woodlands 2 is a painting by Laura Heggestad which was uploaded on January 15th, 2010. The setting for this painting was along the same hillside where I 'discovered' the trees who modeled for Magical Woodlands 1. The profusion of leaves which remained on this cluster of trees, whereas many of the others had been completely abandoned of their leaves, really struck me. The paint is applied in a hearty impasto. I would be happy to fulfill request for very similar, respectful reproductions of this or any of my other originals. I like your brushwork on this painting, Laura! Thank you so much, Patti, Fania and Allen. You make my heart sing! I've been away from here too long...and now my mind is enjoying a deluge of 'happy juice'...thanks to you! You too are magical! Bravo! Your comments delight me...thank you so much. I'm so glad you noticed the fun I had with the trees' bark! Your expressive abilities do you much credit and compliments from someone of your talent and vision is something I greatly appreciate. Thank you, Elise! A compliment from you on color is a great one, indeed! You are fearless and joyful in your expression of color. Hi Laura, another beautiful woodlands.. deep and so colorful! !